Hot Deal – Refurbished Canon EF 100-400mm f/4.5-5.6L IS II USM Lens for $1,559.20 ! 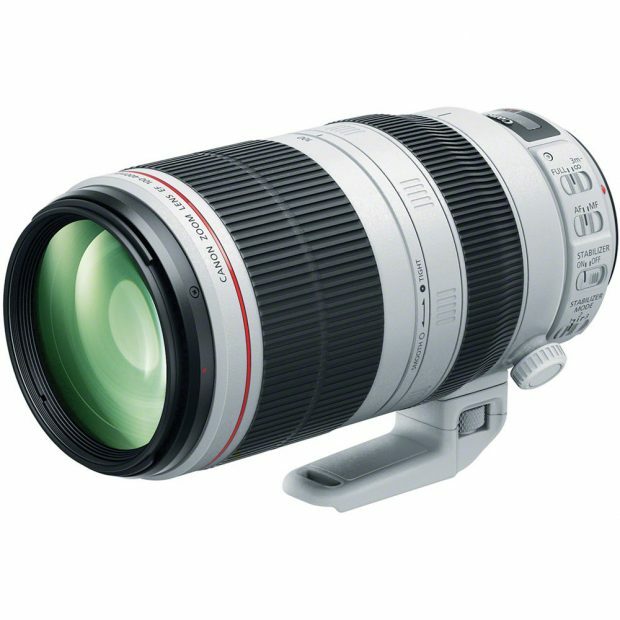 Canon USA Direct Store has restocked the refurbished EF 100-400mm f/4.5-5.6L IS II USM lens for $1,559.20. Currently lowest price online for this lens, coming with 1-Year Canon USA warranty. 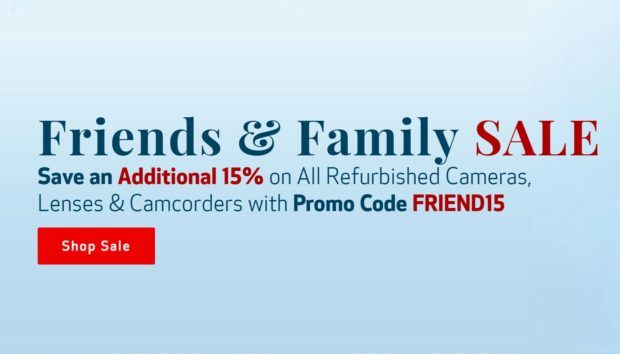 Author adminPosted on April 16, 2019 April 16, 2019 Categories Canon Deals, Canon LensesTags EF 100-400mm f/4.5-5.6L IS II USM Lens, Refurbished DealsLeave a comment on Hot Deal – Refurbished Canon EF 100-400mm f/4.5-5.6L IS II USM Lens for $1,559.20 ! New Canon Lens Rebates – Up to $400 Off ! 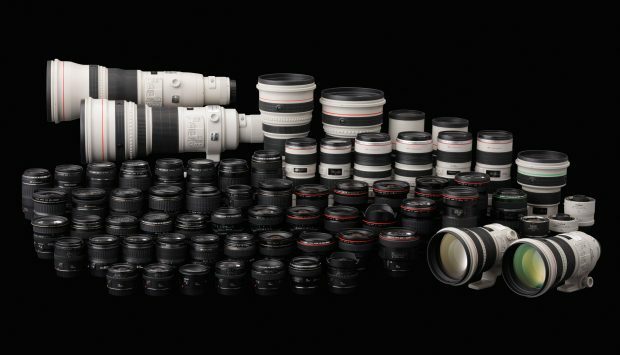 Canon USA has just released a new instant rebates on selected Canon EF and EF-S lenses, for a limited time, you can save up to $400 off on these Canon lenses at Adorama, B&H Photo Video, Amazon. Some of these items are lowest price online ever. 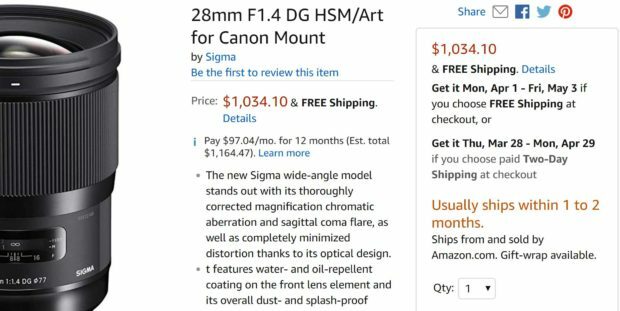 Author adminPosted on March 31, 2019 March 31, 2019 Categories Canon Deals, Canon LensesTags EF 100-400mm f/4.5-5.6L IS II USM Lens, EF 16-35mm f/2.8L III USM Lens, EF 17-40mm f/4L USM Lens, EF 24-70mm f/2.8L II USM Lens, EF 70-200mm f/4L IS USM Lens, EF-S 17-55mm f/2.8 IS USM LensLeave a comment on New Canon Lens Rebates – Up to $400 Off ! First Price Drop: $200 Off on Canon EOS RP w/ RF 24-105mm f/4L IS USM Lens Kit ! 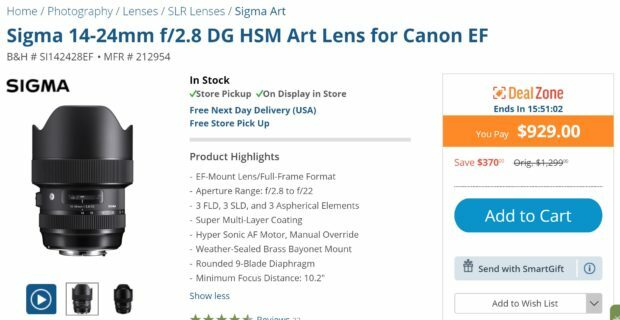 Canon USA today has dropped the US price for Canon EOS RP with RF 24-105mm f/4L IS USM lens kit. You can get $200 off on EOS RP w/ RF 24-105mm lens kit at Amazon/B&H Photo/Adorama. 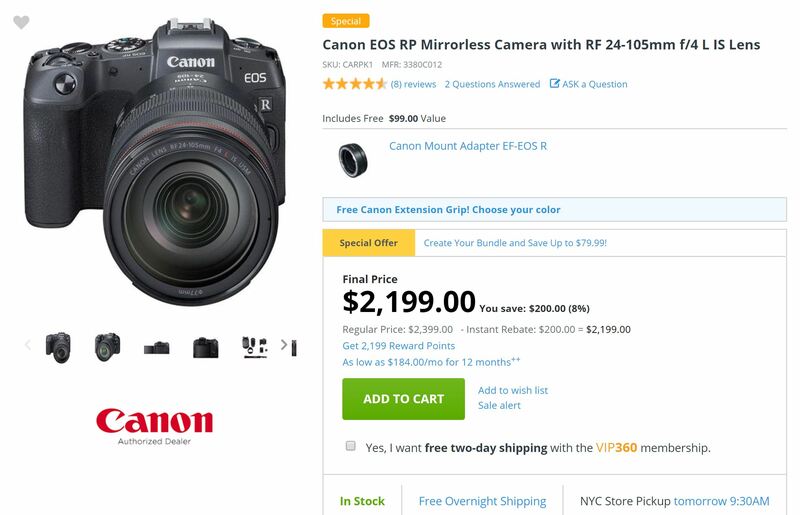 Author adminPosted on March 20, 2019 Categories Canon Deals, Canon EOS RP Deals, Canon Full Frame Mirrorless CameraTags Price DropLeave a comment on First Price Drop: $200 Off on Canon EOS RP w/ RF 24-105mm f/4L IS USM Lens Kit ! B&H Photo One Day Deal – Up to 30% Off on Select SanDisk Extreme Memory Cards ! 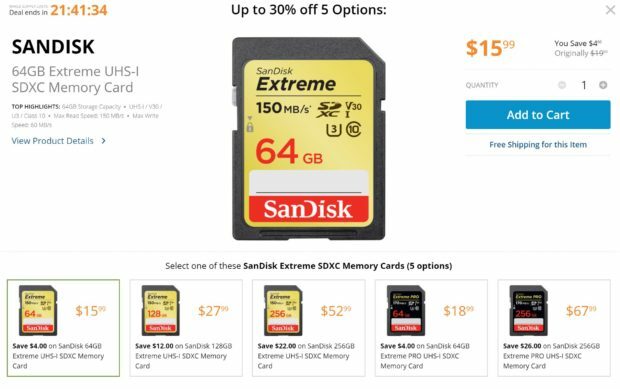 Looking for SD cards for your cameas, B&H Photo Video has today only deal on SanDisk Extreme SDXC memory cards, you can save up to 30% off on these SanDisk Extreme SDXC Memory Cards. 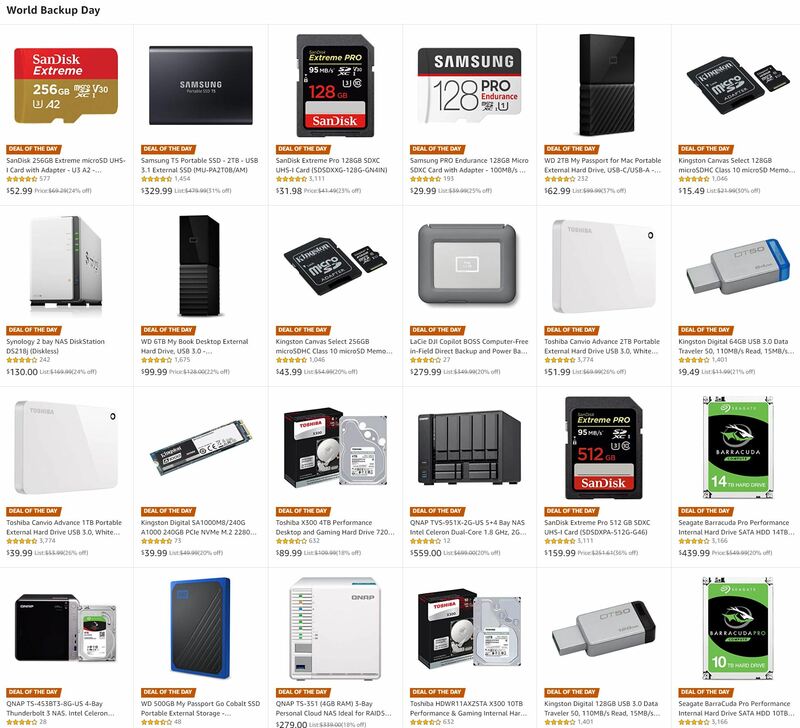 All these SD cards are currently lowest price online ever. 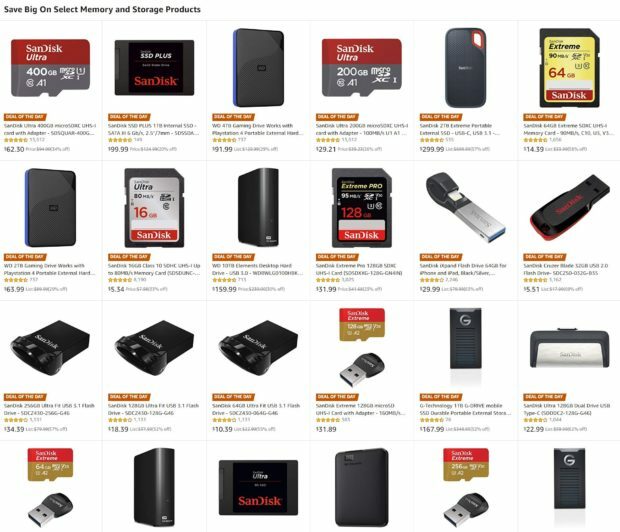 Author adminPosted on March 18, 2019 March 18, 2019 Categories Canon DealsTags Memory CardLeave a comment on B&H Photo One Day Deal – Up to 30% Off on Select SanDisk Extreme Memory Cards ! The first Canon EOS R Body price drop now available. 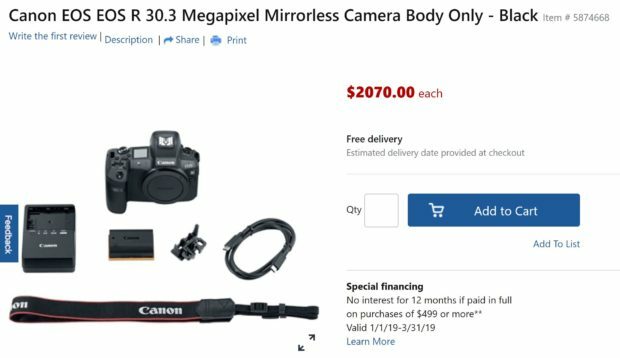 Canon USA authorized dealer Office Depot currently has Canon EOS R body for $2,070.00. This is lowest price online ever from Canon authorized dealers. This is a limited time deal, will be expired soon.